Virginia Gilbert Kucera, the daughter of Ethel (Adams) and Benedict A. Hake, was born July 30, 1929 at Cawker City, Kansas. 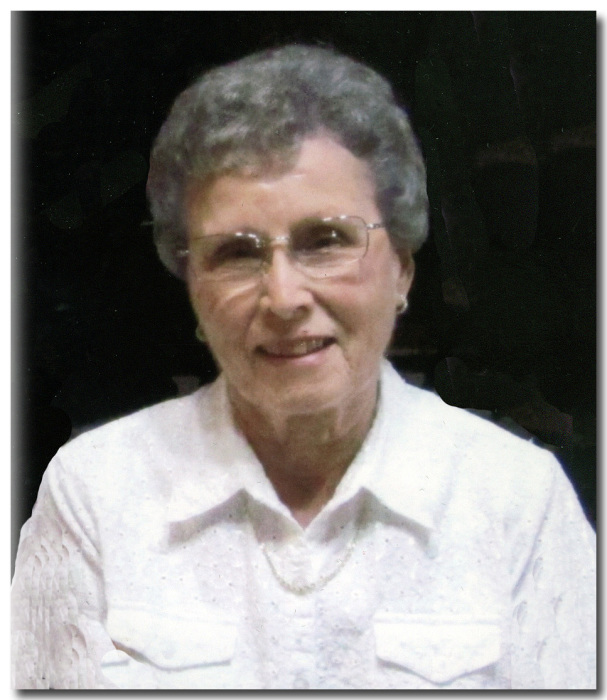 She departed this life on Thursday, November 15, 2018 at the Brodstone Memorial Nuckolls County Hospital in Superior, Nebraska at the age of 89 years, 3 months and 15 days. Virginia received her formal education attending the Esbon schools and graduated with the class of 1947. She was united in marriage with Lawrence D. Gilbert on April 28, 1948 at Esbon, Kansas. This union was blessed with two daughters, Pat and Marcia. They lived on a farm in the Red Cloud area until 1956, when they moved to Guide Rock, Nebraska. In 1991, they moved to Red Cloud to live. Lawrence died on April 19, 1995. Virginia remained in the her home at Red Cloud and in 1999, she married Val Kucera at the Wesleyan Church in Red Cloud. Together Val and Virginia greatly enjoyed their time together, dancing and listening to a variety of classic country music. Virginia was an accomplished seamstress and pursued her love of sewing her entire life. Her greatest love and enthusiasm in life was for her family and she dearly cherished time spent with her granddaughters and great grandchildren. Preceding her in death were her parents, Ben and Ethel Hake; her husband, Lawrence Gilbert on April 19, 1995; daughter, Marcia Gilbert on September 15, 1974; and three brothers, Clifford, Lavern and Stanley Hake. Left to treasure her memory are her husband, Val, of Red Cloud; daughter, Pat Ohmstede of Kearney, Nebraska; granddaughters: Trisha Rust and husband Chad of Guide Rock, Nebraska; Tracy Gallagher and husband Paul of Rockton, Illinois and Tammi Schmoker and husband Gerod of Kearney, Nebraska; 10 great grandchildren; a brother, Jack Hake and wife Dorothy of Big Rock, Illinois; sisters: Bev VanWey and husband Paul of Lincoln, Nebraska; Shirley Dietz and husband Lynn of Beloit, Kansas and Connie Delka and husband Frank of Beloit; sisters-in-law, Joy Hake of Earlville, Illinois and Sandy Hake of Sandwich, Illinois; nieces, nephews, other relatives and friends. Funeral services were Monday, 1:00 p.m., November 19, 2018 at the Williams Funeral Home in Red Cloud with Pastor Dan Benedict and Pastor Doug VanWey officiating. Interment was at the Guide Rock Cemetery.